Listen up, everyone! As of Sunday, you have only 28 days till Christmas. Time to start fretting over and start ticking off the endless list of items on that holiday preparation list. Right? Sunday's sermon suggests a more satisying way to spend those 28 days -- an approach less focused on the distractions of the busy world, one more receptive to the subtle joys and opportunities of the season, and hence more attuned to the gospel. Sunday Preview: Work/Life balance — what do we do about it? These days, we spend a lot of time on our work-life-balance. We read studies telling us how stressed we are, and how all that stress is killing us. Or articles saying that our Blackberries and iphones have freed us from the office – and at the same time chained us there. We are told we are running, always running in a race that can’t be won. And somedays, life feels like one big list of things to get done – and that if you get them done, the list only starts again. Work life balance, we talk about it, read about it, and complain about it. But what do we really do about it? Who has not been saddened by the tragic suicides of bullied teen making headlines this week? Even the President of the United States has gone online to send a message to troubled youth: “It gets Better.” As Christians, we know this through our promise from God; things can turn around. We only have to look to the gospel for how to deal with bullying—from our peers and our families, young and old. 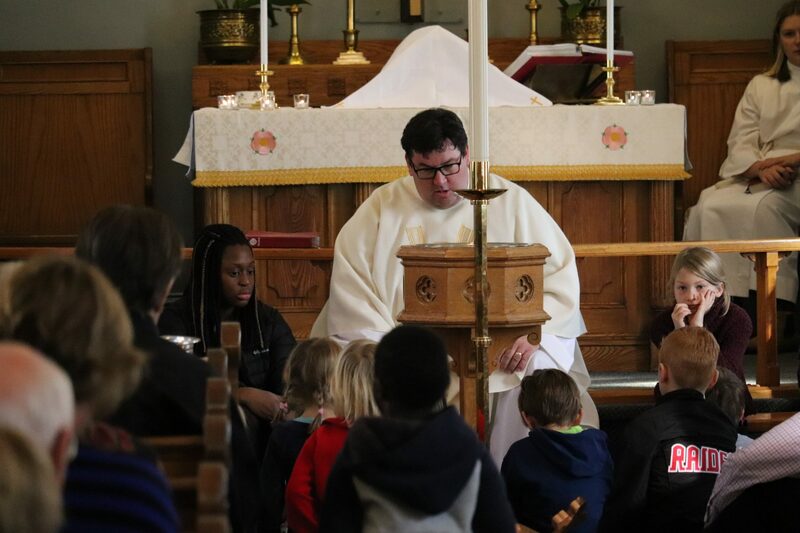 Our second lesson this week spells it out: “I have fought the good fight, I have finished the race, I have kept the faith.” Here more about bullying and the prospect of a better future this Sunday at St. John.